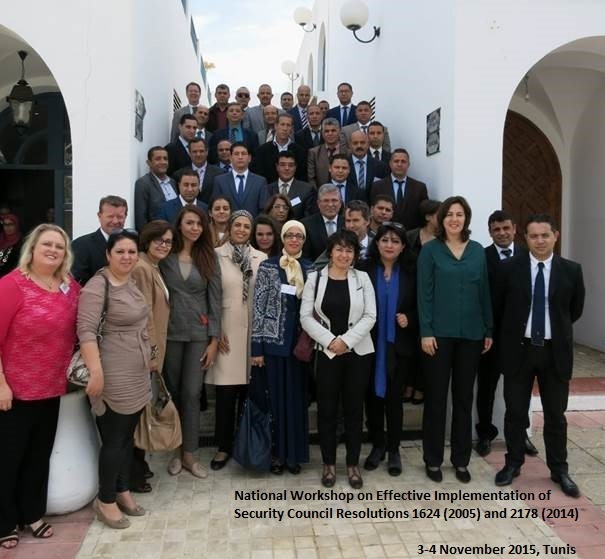 A two-day workshop took place on 3 and 4 November 2015 in Tunis, Tunisia, with the purpose to discuss an effective implementation of UN Security Council Resolutions 1624 (2005) and 2178 (2014). The meeting was aimed at the development of an effective, comprehensive and multi-stakeholder implementation action plan of the National Strategy Against Extremism and Terrorism that had been developed by the National Commission against Terrorism and Violent Extremism in Tunisia. 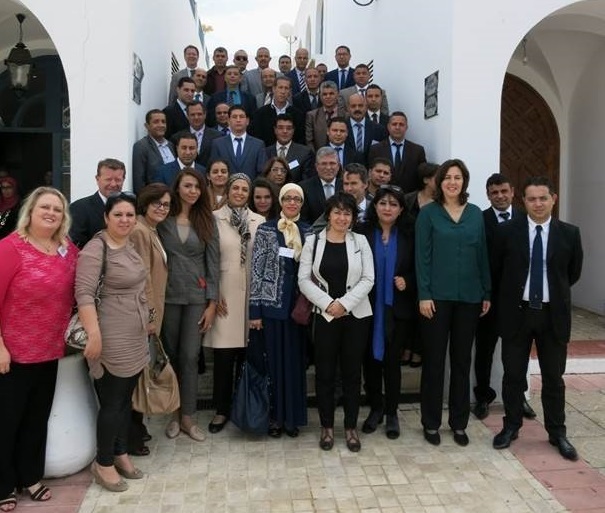 The workshop, facilitated by the United Nations Counter-Terrorism Committee Executive Directorate (CTED) and co-organised by the government of Tunisia, the International Centre for Counter-Terrorism – The Hague (ICCT) and the Human Security Collective (HSC), brought together representatives of various ministries and security agencies of the Tunisian government as well as a few representatives from civil society. The main objective of the workshop was to find openings for dialogue and engagement between both government and civil society representatives in order to implement the national strategy.